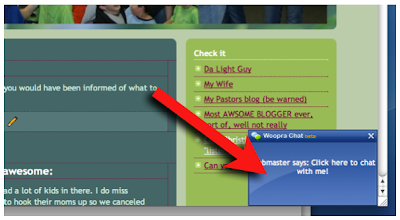 If I do, and you would like to say hi, just click in the box and we can chat is real time. It would be great to talk to you! Ok, I'm looking at your blog, Where are you??!!! For someone "fighting the system" you sure do have a bunch of gadgets. I have to agree with Kim!!! "mister techno-geek man"!